If you want business from the Internet, you don’t necessarily need a custom-designed website. You need a website that generates leads. Themes Plus is a library of themes designed and built for performance by ThinkSEM. These WordPress-based themes incorporate all our in-house expertise in online marketing and lead generation, including user experience, SEO and web design. 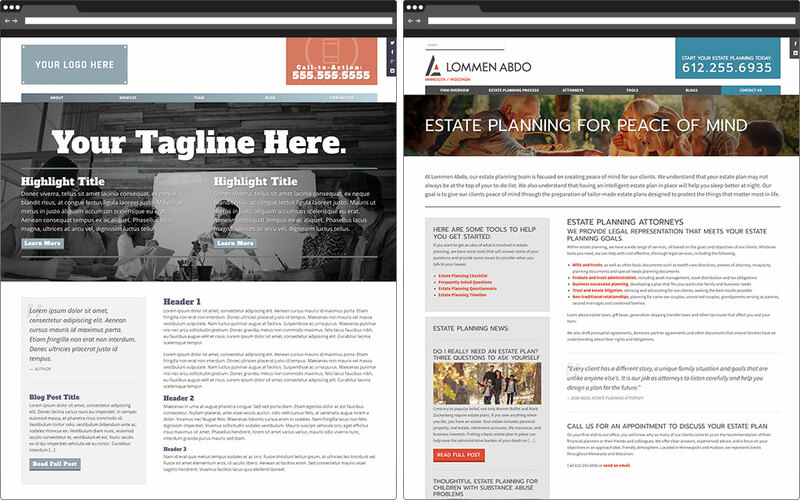 All themes incorporate responsive design, so they look good on all devices. Updated monthly, no theme in our collection is over a year old, so you know your website is built using the latest web standards. You select a theme and one of two affordable plans. We begin the customization process with your content, images and branding. You get a professional-looking site that brings in clicks, calls and contacts quickly and cost effectively. By choosing Themes Plus, your website will be online and working for you in a matter of weeks instead of months. It’s a smart choice for those who want to generate leads from the web as soon as possible. Themes Plus saves you money because it cuts website development time dramatically. We don’t skimp on performance. From the placement of the phone number to the selection of colors, to the clarity of the code, all elements of these themes work together to generate leads. Themes Plus websites present a professional image for your organization and allows you to stretch your marketing budget. Instead of paying for a custom-built website, you can invest in other marketing efforts like PPC advertising and landing pages. To learn more about Themes Plus, call ThinkSEM at 651.200.3831 or contact us by email.